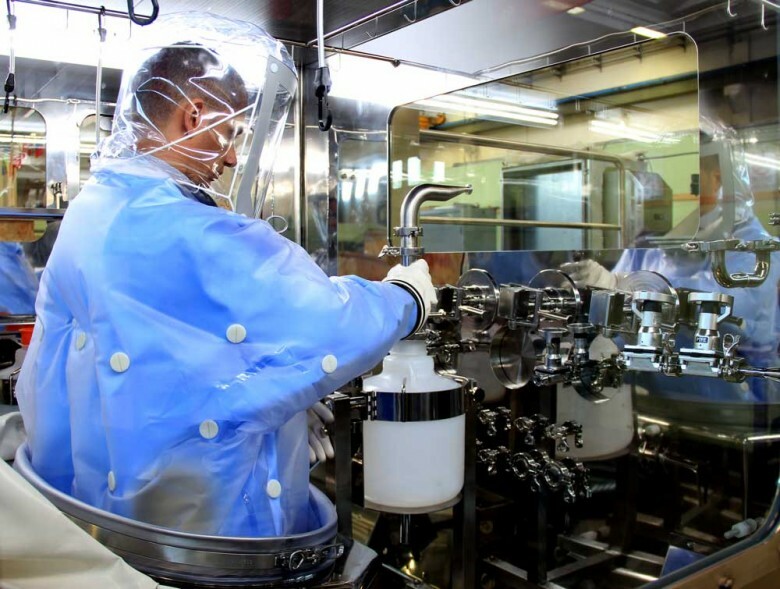 An isolator used in the pharmaceutical industry should allow the operator to work in a fast, safe and ergonomic way. Conventional isolators inevitably have a limited operational area due to the gloves used to access the work area. In fact, in a conventional isolator, the operator is separated from the product except for the arms, which have room to manoeuvre within the sterile area using the gloves. In order to exploit the entire work area, the operator often has to put the gloves on and take them off inside the various flanges. Of course, this can slow down operator productivity. At Comecer, we have been designing and manufacturing isolators for about 20 years and, each time, we try to redefine the process with our clients, so that it can be adapted to the integration requirements in the isolator. At times, however, the need to manoeuvre within the confined area requires the use of technologies such as half suits, well known since the dawn of isolation technology. 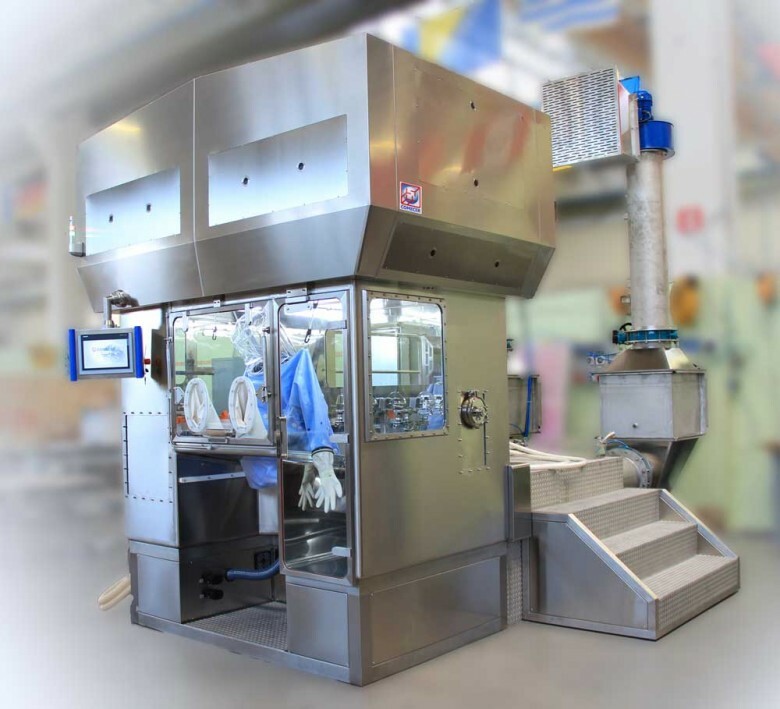 And this was the case we were involved in developing a half suit isolator for the implementation of an aseptic process for a client of a major multinational company. In this case, the need for the operator to «enter» down to the waist in the sterile area, therefore having a much larger area for manoeuvre, also meant being able to handle greater loads than the load that could be handled just using the wrist on the isolators with gloves. The integration of this process, performed strictly in aseptic conditions, required the design and implementation of custom solutions for the specific instruments used and for the general configuration of the machine (material flow, product input and output, etc.). After the processing stage, the containers are removed from the inside of the work chamber in order to proceed with a new work cycle. It contains an integrated environmental monitoring system, both viable and non-viable. It has a 6-channel Yokogawa data logger for the acquisition of key data during processing stages (internal pressure, laminar flow speed, temperature, relative humidity, etc.). The photo above shows the half suit isolator being built in our factory: if you are interested in these features, please contact us for more details (fill the form below). Are you already among the specialists subscribed to the Comecer newsletter? It is the easiest way to stay up-to-date on our latest innovations in the field of Isolation Technology. Click here to fill out the short form, specifying your sector of interest. You can unsubscribe at any time by clicking the link in one of our newsletters.